clear it of unwanted data, including to extend the life of your computer. Disabling unused features and programs to free resources. Search for programs that slow startup and shutdown. Correcting the causes of delaying the startup process. Identification and removal of under-utilized programs. Optimization of read-write information on the hard disk functions. Checking the hard drive for duplicate files, including if they have different names and recommendations of these can be safely removed. Analysis of internal and external hard disk determines the 100 most large files and offers to remove them by the user. Ability to delete unnecessary data from the hidden Windows Store apps and Windows 8 and 8.1, freeing up disk space. It removes the browser old and damaged files, and the freed disk space. Disable unnecessary Windows components that occupy space on the disk. Saving Mode significantly increases battery life by shutting down unnecessary background processes and reducing the energy consumption of the external and internal devices. Troubleshooting problems with hard drives. Editing the registry and complete protection against random errors. 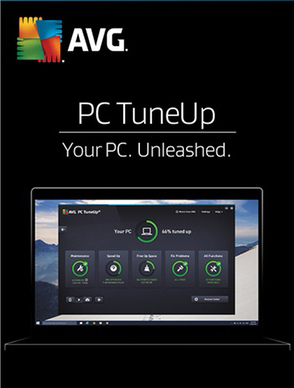 Install the program on your PC (with installation to enter the license number you received after product registration).